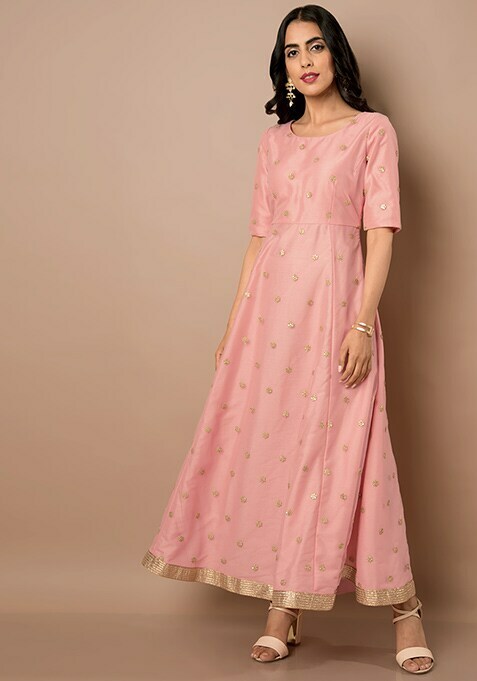 Simple yet stylish, this pink tunic is crafted out of silk to ensure both class and comfort. Featuring all over sequins and a complementing hemline, this tunic gives you broad scope of styling. Work It: Simply style this tunic with a contrast dupatta and strappy heels and you are set to rock your friend's wedding.